William Arrol, the son of a cotton-spinner, was born in Houston, Renfrewshire in 1839. 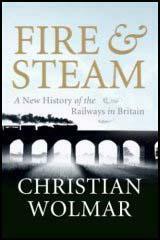 He began work in a cotton mill at the age of 10 and four years started training as a blacksmith. Arrol taught himself mechanics and hydraulics at night school and by the age of 29 decided to start his own engineering business in Glasgow. In 1865 Arrol's company built a railway viaduct at Greenock and in 1878 secured the contract for the Caledonian Railway Bridge over the Clyde. In 1882 was asked to construct the replacement Tay Bridge that had collapsed in 1879. 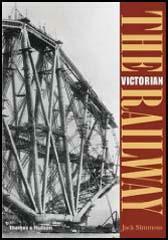 His company, Tancred Arrol, also built the Forth Railway Bridge (1883-90); then the largest steel bridge in the world. This was followed by Tower Bridge in London (1886-94). Arrol's company also built bridges in Australia (Hawkesbury Bride) and Egypt (Nile Bridge). William Arrol, who was also the Liberal MP for South Ayrshire from 1892 to 1906, died in 1913. One of the most successful of all railway contractors, Arrol left £317,749 in his will.